And as those young and old prepare their wish lists, you might be surprised to know just how many of the most desired items have a TampoPrint connection. From the sleeves of golf balls for your favourite duffer, to the latest electronic gadget your teenager simply must have, or the fully-loaded luxury car that has had you daydreaming since the day it was unveiled, manufacturers around the world have come to rely on TampoPrint equipment and consumables to create some of the most sought-after products in their respective industries. 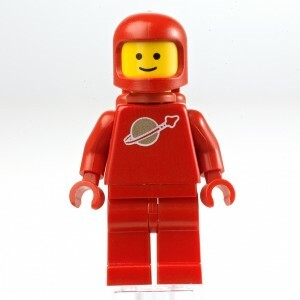 The Lego Group, maker of some of the most popular and imagination-inspiring toys of all time, trusts and uses TampoPrint technology to deliver the consistent quality needed to produce what has twice been named the “Toy of the Century”. Trusted industry experts at The Toy Insider have named a Lego product to their Holiday 2014 Hot 20 list of products for kids (and those who are kids at heart), which should translate into millions of dollars in sales of a product that we’ve all known and loved since its inception in the 1930s. If your company is already a part of the TampoPrint family and is already utilizing our cutting-edge equipment and consumable supplies, we thank you for your continued patronage. If you are interested in learning more about how using Tampo’s extensive line of products and services can give your company the competitive edge it needs, please contact us.